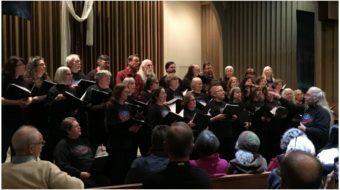 The movement to defeat George Bush in November 2004 got another boost on Oct. 6 when the Voices for Working People Coalition (VWPC) announced its arrival on the electoral battlefield. “We will provide an opportunity to raise a unified voice for social and economic justice,” Gerald McEntee, president of the American Federation of State, County and Municipal Workers, told reporters at a press conference announcing the formation of the coalition. Voices for Working Families is a 527 organization – the tax code designation for organizations that are sprouting like spring flowers now that campaign finance reform has banned the GOP and Democratic Party from collecting soft money to fund voter registration and mobilization campaigns. It is also one of three groups – the others are Partnership for America’s Families and Grassroots Democrats – that enjoy the support of the AFL-CIO. 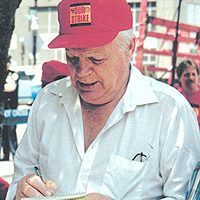 In addition to McEntee, the coalition’s board members include Myrlie Edgar-Williams, NAACP president emeritus; Bill Lucy, president of the Coalition of Black Trade Unionists; Gloria Johnson, president of the Coalition of Labor Union Women; the presidents of a dozen unions and several public figures, including New Mexico Gov. Bill Richardson; Geraldine Ferraro, Democratic vice presidential candidate in 1984; and Bill Lann Lee, former attorney general for civil rights. Linda Chavez-Thompson, AFL-CIO executive vice president, is the group’s treasurer. in working families whether they belong to unions or not and, as Election Day nears, will mount a massive get-out-the-vote campaign. He said coalition partners plan to reach households in targeted communities with at least 10 personal contacts. Particular emphasis will be put on people of color, working women and young workers who, McEntee said, are being “disproportionately hammered” by the economy. Earlier McEntee laid out the coalition’s bill of particulars on the impact of the Bush administration’s assault on working families: Among the long list of charges. The loss of 3.3 million jobs since George Bush moved into the White House, 11 million workers without jobs, 43 million people uninsured, 49 states forced to raise college tuition fees. Richardson, a leader of the Moving America Forward Coalition, said, “No party can take the Latino vote for granted. It will take more than the ability to speak a little Spanish for candidates to win their vote.” He added the coalition had set a goal of registering a half-million Latino voters in the states of Arizona, New Mexico, Florida and Nevada.